Brussels: NATO does not consider India as a missile threat despite the country's advanced missile development programme, NATO Secretary General Anders Fogh Rasmussen said. 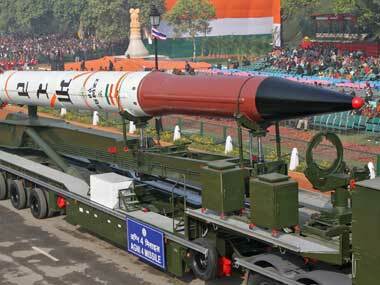 India tested its domestically-developed Agni-5 ballistic missile with a range of 5,000 km this morning. The three-stage solid-fuel missile was launched from a site on Wheelers' Island in the Bay of Bengal and reached its target area in southern Indian Ocean. A successful test of the Agni-5 missile has put India in the elite club of nations having Inter-Continental Ballistic Missiles (ICBM), which includes the US, Russia, China, Britain and France. Speaking at a news conference at the NATO headquarters in Brussels, Rasmussen said Wednesday the Alliance does not consider India as a threat to NATO allies and territory.